Stampin’ Up! 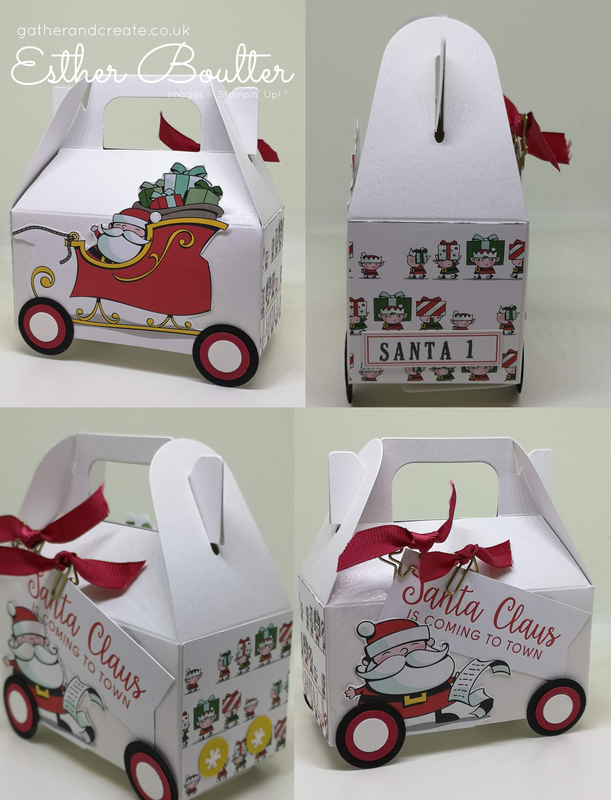 Lustrous White Gable box and Santa’s Workshop Memories and more. All of the images are fussy cut from the Santa’s Workshop Memories and More Card Pack. Some circle punches for the wheels and Santa 1 was stamped using the alphabet stamps included in the Pick a Pennant stamp set. The ‘headlights’ were finished with a snowflake from Santa’s Workshop enamel shapes.